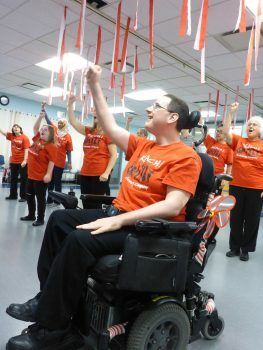 Current: Performing Arts Programs for Differently-abled Participants! West Coast Reach Association, a registered non-profit organization established to celebrate inclusion and diversity, is offering the following two dynamic programs this year, in partnership with Saanich Parks, Recreation and Culture. One is for children, the other for youth and adults. This dynamic group started in January of 2017, and one of their shows received huge ovations from thousands of people when they performed at the Oak Bay Tea Party and the Sidney Days Canada Day celebration. For differently-abled children, 8-12 years, who would like to experience the fun and joy of music and movement while developing important social and performing skills, and self-expression. Thursdays, 4:30-5:15 p.m., Saanich Commonwealth Place. More info: www.westcoastreach.org/ or tel. 250-882-4339.